I agree with Texas: small pics, but looking good for what I can see!!! I read that thinning Tamiya smoke to water consistency then applied by air brush with a steady hand (oh no!) after the painting will produce good panel lines. Can somebody advise me on the best way to bring out the rivet detail please??? You probably want to use some sort of 'wash', which goes on after the decals have been sealed with a clear coat. For me this is the last step before the final flat clear coat. I use artist watercolors since they're so forgiving and need no chemical thinner of any sort. 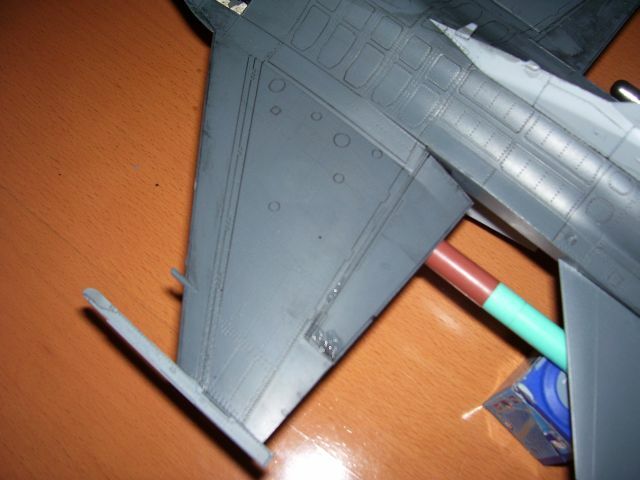 You can just slop it all over the rivets and then wipe the excess off with a damp paper towel. If you don't like the results just wipe a little harder and it's all gone. Always wipe in the direction of airlow over the plane, and then if you leave some streaks behind it just adds to the weathered look. HI We had a club member do a demostration at our local model meeting a few months ago that I was relly impressed with. He paints the model and futures it . Then he decals the model and futures it again. He then takes artist oils thinned with turpenoid and applyes it to the pannel lines and other areas he wants to weather. You can thin it as much or as little as you want. He uses the blue tallets that you can get at the auto supply cut into about 1 1/2 inch squars to take the excess off. The towletts are not as absorent as paper towls and do not have as much lent. You can use cotton swabs to get into tight areas. You have several hours to work with it he said. After your satified with your weathering and it dries a couple of days you go over it with the clear flat or gloss that will finish the model. I watched his dimonstration but have not tryed it myself. 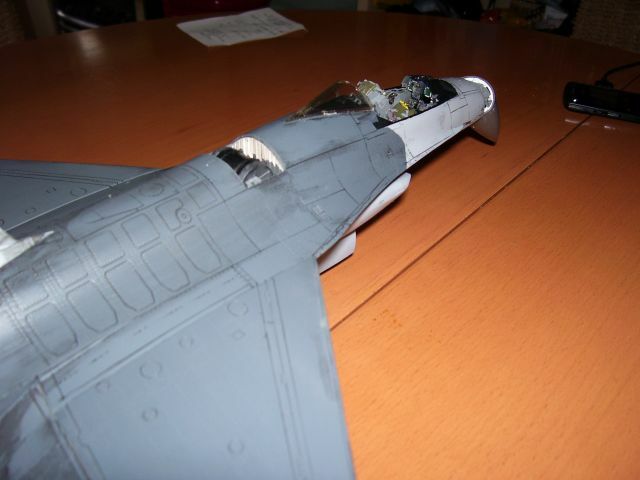 I do plan on trying on the Tomcat I am curently working on. I must thank those that gave the methods for weathering, but I have to admit, it all sounds scary! Does anyone have images of this happening so I can print it off and copy it? First; I understand your trepidation completely! I was pretty nervous the first time I tried it, too. If you use the right materials however, you really can't go wrong! (Or at least, you can fix it really easily if you do) The reason I use watercolors is that I'm not a chemist and always get confused over which thinner will eat through what clear coat or paint. Or, will this product stain that finish. There are products you can buy like Phil Flory's wash to do this. Or you can just try one of the many methods the guys here use. The tutorial on Phil's site is not really specific to his product, although when I do it I don't go over the entire kit as much as he does. I picked up a few tubes of artist watercolors at the art supply store. Black, some umber shades and maybe a grey depending on what color you're weathering. If you've followed the 'standard steps' leading up to the weathering stage: Paint, gloss clear, decals and another gloss clear coat to seal the decals; you can not do any damage at all with watercolors, or most washes. Mix-up the color you want to use to roughly a coffee-like consistancy. Work it into the panel lines, rivets or whatever you're trying to accent. Allow it to sit for a little while then remove the excess with a slightly damp cotton bud, piece of cloth or paper towel. You'll probably remove too much at first. No problem! Apply some more and try again. Don't like the result? Remove it all and try again! It will take some trial and error to get a result that you're happy with, but again I emphasize that if you've done everything else right leading up to it, you can always just wipe it off and start over. It's a lot easier to botch the paint-job than the wash, believe me! After you're happy with the result, add your preferred flat or semi-gloss final clear coat to seal everything and you're done! That is genious. I thought it would be way more complex than that. Did he really lick that paper towel??? Thanks alot, appreciate the tips. Now to give it a go. The watercolor wash will work well, although you might need to add a drop or two of dishwashing detergent to keep the watercolor from beading on your clear coats. But Rookie is right, if you don't have much experience with washes, a water color wash may be the best first step to try as it should not in anyway impact the paint other than where you want to keep it!!! The Tamiya smoke technique of post-shading is really more for shading areas and along panel lines subtly, or for oil and soot staining, not really the same thing as darkening the panel lines. Usually it is a combination of these techniques that many modelers use to weather their models. The best thing to do is to pull out an old, trashed model and try different techniques the guys have mentioned until you get a fell for a couple of techniques that seem to work the best for you, then try them on a new model. This will both show you how the techniques work, plus give you some confidence in using them, without screwing up a model you have jsut spent 100 hours on!! Sound advice. Thanks. When I am in the attic this weekend I will start trying these things out. HI It is a good idea to test out something new on some scrap plastic that you paint like the model first if possible before you commit to trying it on a great looking model. 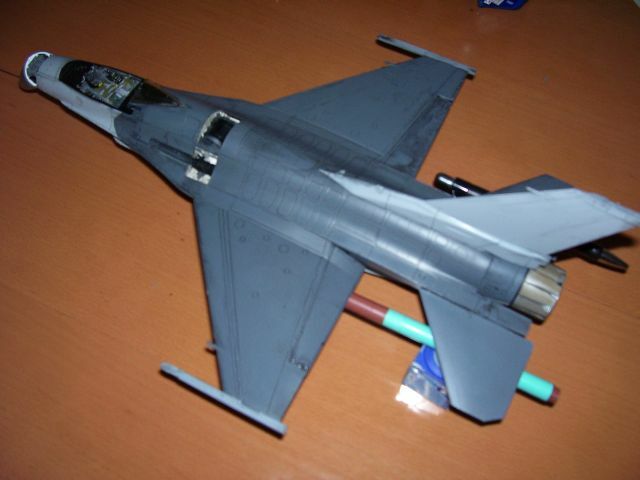 I have been trying out the whole wash idea on my F16 and so far it is going ok. I attached some images so you can see. This is the first time I have tried this so, let me know what you think. Also, when I had applied the wash, on taking it off after leaving it for about five minutes, it stuck real hard in some areas, but just wiped off in others. Can anyone tell me why this has happened so I can avoid it in the future please? You can see on the lower photo that the starboard side flaperon has gone black and no amount of tissue and water will take it off. I used a black water colour. Did I have it to thick or something? I had it about the consistency of milk and brushed it on with a flat brush. Then I took it off again with a damp tissue. Hmmm??? I am going to set some of the decals on it next and weather those too. Then I shall seal it in and see what I can do to enhance it with pastels. somemore images of the same subject, please comment as I do want to improve at this. It seemed to go on great and in the most part leave the finish I was after. But I am sure your sharp eyes can see what are probably school boy errors. HI I thank your doing a terrific job. Don't know if you applied the wash directly over the paint or not. If you did that may be why you have the dark spot showing up. The paint may be porus or didn't cover as well in that spot. Since I have never worked with water colors as a wash I am afraid I won't be any help to you. 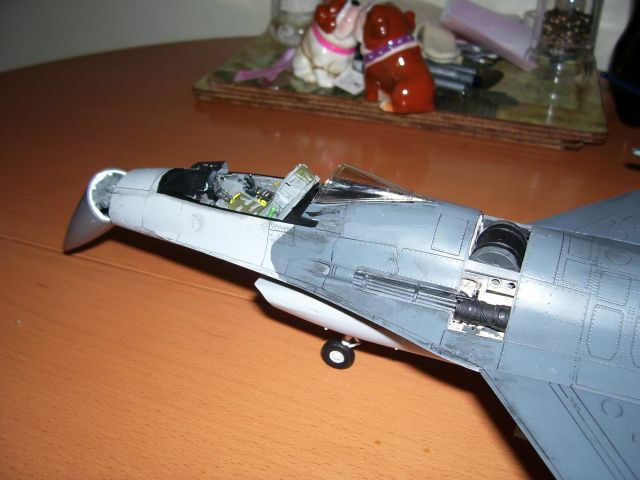 The only thing that I can thank of that you might do is go over the dark area with a lighter color wash about the aircraft color if possible. Or if your happy with the way it is then move on with the build. I hope you get it worked out to your satifaction and let us know what you did and how it came out. I think Tex might be right, Ian. If there was no gloss clear coat on those areas, or the coat just didn't completely seal those areas, the watercolor could get ino the texture of the paint. It is still watercolor, however, so I'd suggest you go from 'damp tissue' to 'wet paper towel' and see how much more you can remove from those areas. The rest of the wash is looking very good to my eye.